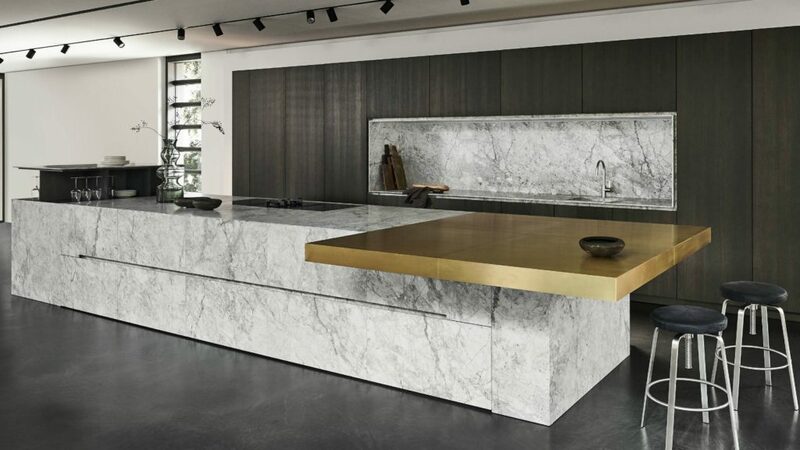 German kitchen furniture manufacturer Eggersman has unveiled Blanco Nuvola, which now forms part of its Unique range. With mixing material now a feature in kitchen design, Blanco Nuvola combines a palette of colours and materials, from metal to timber. It is shown here in stone with a marble-like grey veining and using the Wave Eggersmann joint, this material can cover large areas. Blanco Nuvola can be chosen in five designs, which enables it to be used in a variety of settings. Take a look at all the kitchen trends for 2019.